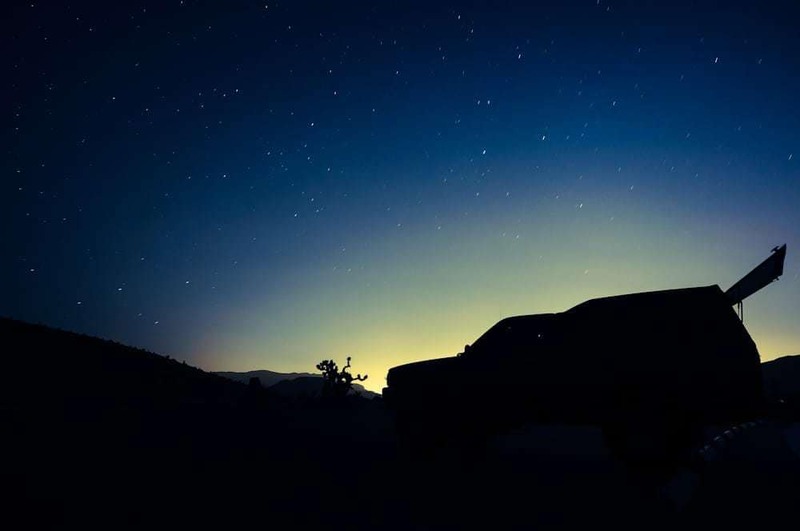 One of the most important aspects of truck bed camping is being comfortable while sleeping. I highly recommend not neglecting this aspect, but to get a quality truck bed mattress or truck bed sleeping pad. I’ve used a variety of setups over the years, both camping solo and camping as a couple. 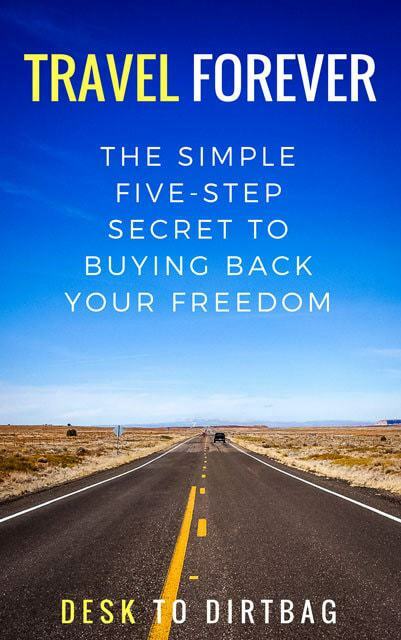 In this article we’ll discuss what has worked well and not so well for me over the years. One of the biggest mistakes that I made when I got started with truck camping was neglecting my sleeping setup. I set out from the PNW in the dead of winter and passed through Idaho and Utah (read: *really* cold in January). I had a litle 20″ wide inflatable backpacking air mattress and a memory foam pillow… Fun fact: memory foam turns hard as a rock in the cold. I survived those early days but quickly realized that my initial sleep setup was not ideal… The pillow turned out to be fine, so long as the weather was above freezing. But the skinny little pad was not ideal for truck camping. 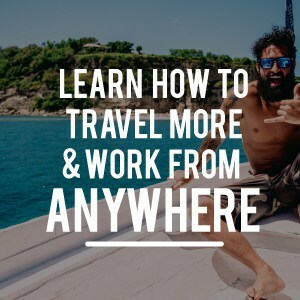 I’m a backpacker and alpine climber at heart so I felt like I could get by with what I had and what I’m used to–just roughing it, if you will. But since I was out there full time, basically week after week of truck camping, I figured there had to be a better way. And let’s face it, I’ve got a truck, I’m not carrying all this gear on my back up a mountain, so size and weight isn’t the biggest concern (though it should be considered). After a month or so on the road I quickly turned to REI and picked up the Therm-a-Rest Neoair Dream Mattress, a 25″ inflatable mattress with a thin foam topper and a nice fabric cover that zips on and off. This mattress was a huge step up from the simple backpacker’s air mattress that I was using. The chief benefit of the NeoAir Dream is the slightly wider size (5 more inches may not sound like much, but it makes a huge difference), the fabric topper (when sleeping in the heat I find the plastic-y material to be very uncomfortable), and the relatively small size (you could let the air out and roll it up into the size of a sleeping bag). My sleep setup in the elevated position–things can be moved into the cab or positioned along side the mattress. As a solo truck camper, I found the NeoAir Dream to be the perfect air mattress! Although the first one I bought did spring a slow leak within the first month of using, but thankfully I bought it at REI and they replaced it, no questions asked — which is I always recommend having an REI membership. 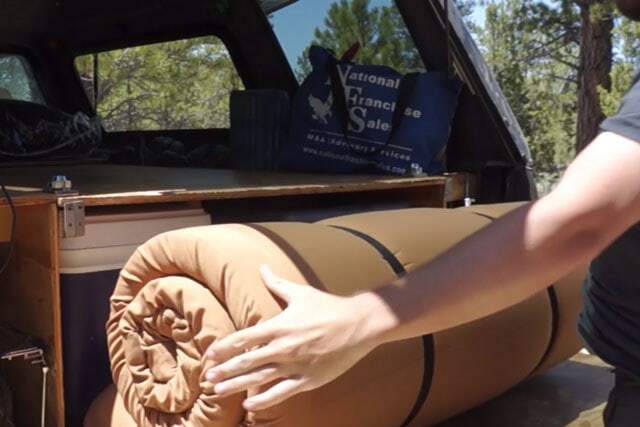 I would not recommend using a super big truck bed air mattress that fills the entire area of the wheel wells, those are generally more of a “neat idea” than something well made for truck bed camping in any and all conditions. Be sure to pay attention to the R-Rating of an air mattress, and be aware that the cheaper you buy, the more likely you are to find it spring a leak. 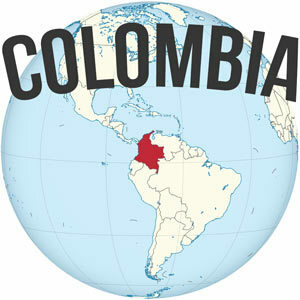 Later on, I would be joined by Andrea as we set out across the American West and into Mexico and beyond to South America. Unfortunately the 25″ wide NeoAir mattress would not work for the both of us. Why oh why Therm-a-Rest don’t you make an extra wide twin size version? During our first trial run truck camping trips around the Pacific Northwest we just decided to use my two backpacker NeoAir mattresses (the All-Season and X-Lite) which are both 20″ wide. They were the perfect size for my truck bed and they wedged together nice and snug with no gaps. During the cold weather camping they served just fine for the both of us. Though it did become somewhat tiring blowing up and rolling up the air mats every day. I also worried that the ultralight backpacker material would spring a leak with such frequent use, or get a splinter or something from the wood. It never happened, but I worried about it. Ultimately, for the hassle of blowing them up and storing them, the concerns about durability, and the aforementioned plastic-y problem, I began looking for other options. 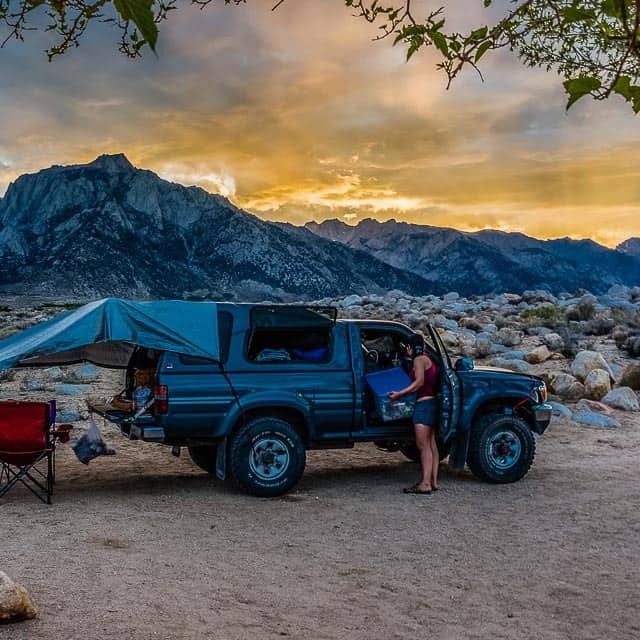 My truck bed has a space of approximately 39″ between the wheel wells when sleeping in Base Camp Mode, and there are surprisingly very few options out there with that size. I would have loved the Therm-a-Rest Dream at those dimensions, but sadly that does not exist. All the cheap-o Coleman air mattresses which are twin-bed size are also ridiculously thick (6″ or 8″ thick) which is a no-go when you use the backshelf approach in Base Camp Mode. What is the difference between a 3″ thick air mattress and a 6″ thick air mattress, Coleman? Nothing in terms of comfort, just more material and time to blow up. The only ready made solution I could find that would meet my requirements was the Teton Sports Camp Cot XXL foam mattress. It’s a 3″ thick foam truck bed mattress with a fabric topper. The dimensions are perfect width-wise, but it is slightly over 6′ long which is longer than my truck bed. The pad is pretty comfortable though a little thin because it is meant to be used as a topper while sleeping on a cot and not meant to be used as a standalone sleeping pad. But the biggest downside, of course, is the massive size even when rolled up. It takes up a lot of room in the back of the truck. One major plus is that you don’t have to worry about punctures, ever. It can take a lot of abuse. It’s nice that it has the removable fabric topper, but it is quite difficult to take off and put back on since they put the opening along the narrow end of the sleeping pad. All-in-all the Teton Sports Cot Pad is an affordable and viable option for those looking to maximize their sleeping space and don’t want to worry about the potential problems of an truck bed air mattress that can spring a leak. I’d still say that the perfect truck camping sleeping pad doesn’t exist. Ideally, I’d like to see a cross between the Teton Sports pad and the NeoAir Dream. Perhaps something with the heavy duty blue foam pad on the bottom, a thin inflatable air mattress, and a super soft foam topper. It would be the size of a twin bed (39″ wide by 6′ long) and include an easily removable and washable fabric topper like that which is currently on the NeoAir Dream. P.S. 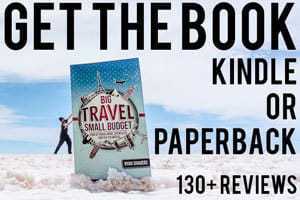 If you’re interested in truck camping, be sure to check out my #1 best selling Amazon book Big Travel, Small Budget which includes a chapter on overlanding and truck camping. 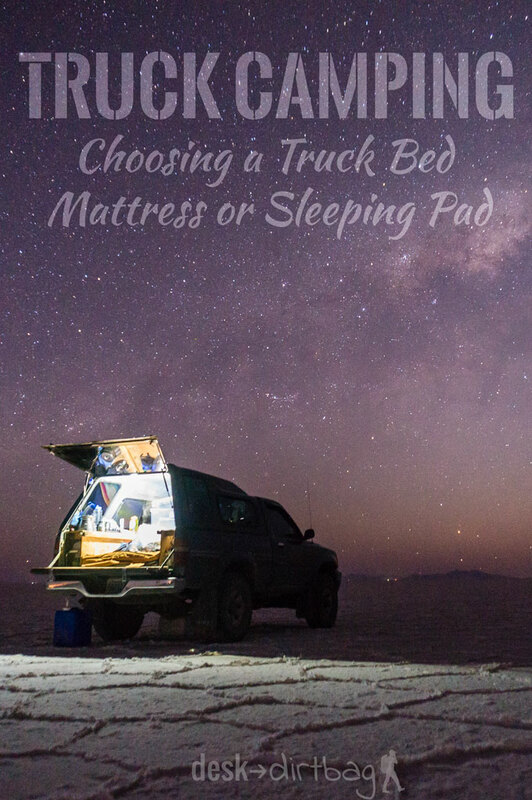 Enjoy this post about choosing a truck bed mattress or sleeping pad? Please take a second to share in on Pinterest, Facebook, or Twitter. Thanks! Any recommendations or experience with padding for bed boxes? I’ve got some custom bed boxes that were padded and upholstered at one point but the whole setup badly needs replacing. I’m thinking plywood with some kind of mold-resistant foam that I can then put some kind of camper fabric over. Just wondering if anyone has recommendations for something along those lines..
Hi second the “Paco pad”. Bulky, but can be pulled out and I like sleeping on the ground when appropriate and it can be stored up on the rack, because it is so tuff freeing room inside when driving. Personally, I would prefer to bring a truck bed mattress for truck camping. Thank you for sharing us such nice tips. If you mean those big inflatable truck bed mattresses that have the wheel-well gaps, then that is definitely a bad idea if you plan to use it more than once a blue moon. Yeah, I can attest to this… Unfortunately, more often than not, these deflate with holes and temperature changes. >Fun fact: memory foam turns hard as a rock in the cold. Wow, good to know… hah. And yeah getting something better than an old air mattress is definitely a must, if you plan on getting any good sleep at all that is. I just ordered this one in the largest size. It is very comfy with a very durable outer covering. Looks like a pretty solid sleeping pad, I’ve never heard of that brand before, but it looks cozy. Wish they had a straight 72″ long version though so it would fit right into the standard length truck bed. The foam bed feels just like the bed at home. Try it! Yeah, inflatable can be unreliable, especially with regular use. 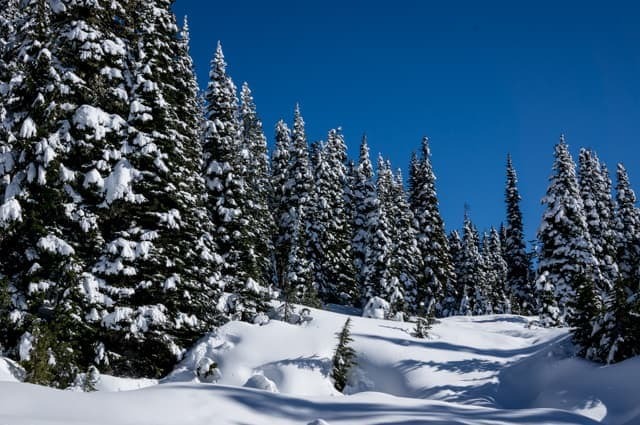 I do prefer something more portable than a thick heavy density foam mattress when I am traveling long-term, but if I were going out on shorter trips and had a home base it sounds ideal! Thanks for your perspective Patricia. Hey Ryan. Thanks for the great article. Hi Ryan thanks for valuable suggestion. 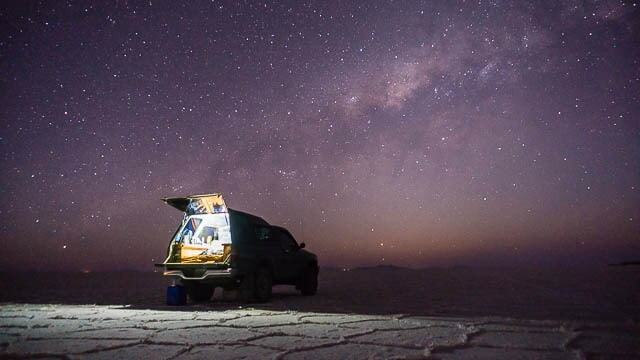 Wow, nice car camping setup. 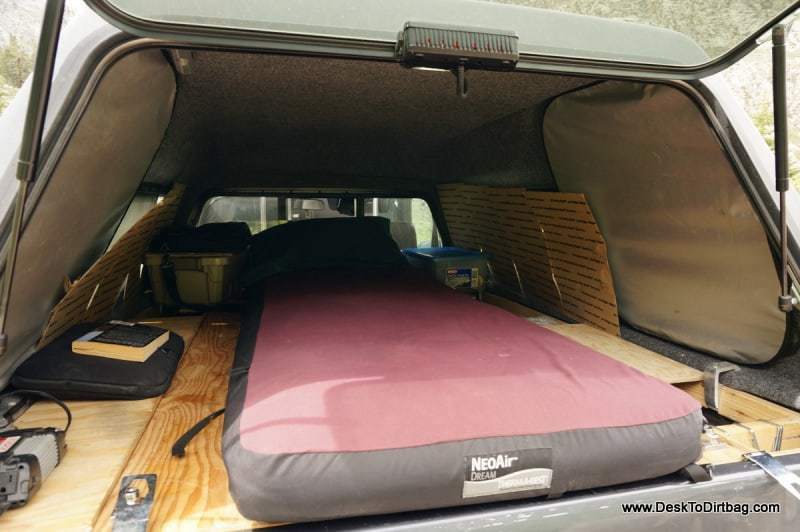 I was travelling Australia in my 4×4 Mitsubishi Pajero a year ago and waste some of my money for bad camping mattresses, because after a few days they are most likely losing air. It is really crucial to have a proper camping mattress if you go camping, or even have some spare place for a camping mattress in your car. Id go with a portable mattress coz i’ll be able to sleep more comfortable. Haha yeah, can be tough coming to an agreement on some items while camping or traveling. Personally, I would prefer to bring a sleeping pad because it’s more portable and it’s lighter compared to mattresses. Mattresses technically are built specifically for houses and some are very intact with it’s shape. Sleeping pads are definitely lighter and smaller, but they have their drawbacks if they leak or can be punctured. I’ve been pretty happy with the sleeping mattress I’ve been using this year, it is fairly portable and quite comfortable–meant for camping of course. i think the perfect car setup (and is what we currently use) is a thermarest neoair camper with a foam padding. you can get a large swatch from either a craft supply store or home depot and size it perfectly to your setup. then the other thing that totally made things easier was an outlet pump like this bad boy (http://www.coleman.com/product/quickpumptrade-12v-pump/2000017846?contextCategory=pumps#.VeYCLPlVhBc) fits pretty snug over the thermarest valve so you don’t have to blow it up each night. Which Neoair is it that you use (most of their air mattresses have the name Neoair)? Those little pumps are definitely handy for an air mattress! Thanks for the comment, Don.